Daylilies are one of the easiest, most rewarding perennials. They thrive in full sun or part shade and most any type of soil. They can withstand road salt. They are drought tolerant. They are very hardy and long-lived. They are even edible. 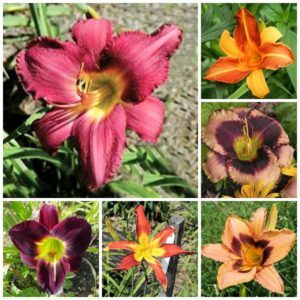 Beginning gardeners will succeed with daylilies. As you can see from our selection, there are many colors, sizes, flower forms and bloom times to choose from. Some are fragrant. Two of our varieties, Kwanso (ours is a triple) and Frans Hals can serve as vigorous ground covers. Daylilies are usually sold by the three-fan clump; we give you a generous 5+ fans for most varieties. 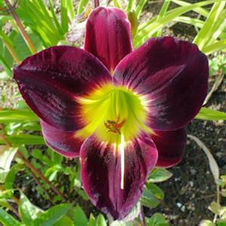 The prices listed are for field-dug daylilies (our potted daylilies are priced as marked). 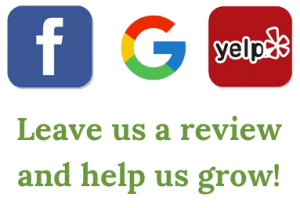 Please contact us to pay by credit card, or visit the farm. Summer Hours for daylilies and cut flowers: Friday and Saturday 9-5. Or by appointment: please call (603) 878-9876. Can’t see the photos? Try downloading our PDF. You should be able to use your browser’s Find function in the spreadsheet. Come to Amazing Flower Farm during normal business hours to purchase these! If you have any questions please contact us.